To view the videos from the event on our YouTube channel, click here. To read an article about the 2014 Great Negotiator Award Program, click here. Join us for a conversation with Ambassador Tommy Koh of Singapore, the recipient of the 2014 Great Negotiator Award. This public program will feature panel discussions with Ambassador Koh and faculty from the Program on Negotiation and the Future of Diplomacy Project. Ambassador Koh is the eleventh recipient of the Great Negotiator Award, awarded jointly in 2014 by the Program on Negotiation at Harvard Law School and the Future of Diplomacy Project at Harvard Kennedy School. The award recognizes Ambassador Koh for his work as chief negotiator for the United States-Singapore Free Trade Agreement, for chairing the negotiations that produced a charter for the Association of Southeast Asian Nations (ASEAN), for key actions that resolved territorial and humanitarian disputes in the Baltics and Asia, and for successfully leading two unprecedented global megaconferences: the Third U.N. Conference on the Law of the Sea and the U.N. Conference on the Environment and Development, also known as the Rio Earth Summit. 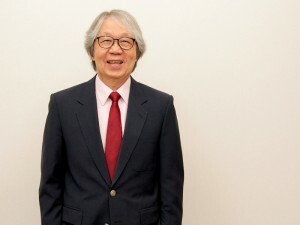 A graduate of Harvard Law School as well as the Universities of Malaya and Cambridge, Ambassador Tommy Koh served as Singapore’s Permanent Representative to the United Nations for a decade, and for six years as Singapore’s Ambassador to the United States. He is currently Ambassador-At-Large at the Ministry of Foreign Affairs for Singapore and Chairman for the Centre for International Law at the National University of Singapore. To read more about Ambassador Koh’s background and accomplishments, click here for a paper by Professor James K. Sebenius and Laurence A. Green. For additional information or questions, contact Polly Hamlen at mhamlen@law.harvard.edu or (617) 496-9383. Ambassador Tommy Koh is currently the Ambassador-At-Large at the Ministry of Foreign Affairs; Director, Institute of Policy Studies; and Chairman of the National Heritage Board. He is also Chairman of the Chinese Heritage Centre. Ambassador Koh was the Dean of the Faculty of Law of the University of Singapore from 1971 to 1974. He was Singapore’s Permanent Representative to the United Nations, New York, from 1968 to 1971 (concurrently accredited as High Commissioner to Canada) and again from 1974 to 1984 (concurrently accredited as High Commissioner to Canada and Ambassador to Mexico). He was Ambassador to the United States of America from 1984 to 1990. He was President of the Third UN Conference on the Law of the Sea from 1980 to 1982. He was Chairman of the Preparatory Committee and the Main Committee of the UN Conference on Environment and Development from 1990 to 1992. He was the founding Chairman of the National Arts Council from 1991 to 1996 and Director of the Institute of Policy Studies from 1990 to February 1997. From February 1997 to October 2000, he served as the founding Executive Director of the Asia-Europe Foundation. He was also Singapore’s Chief Negotiator for the US-Singapore Free Trade Agreement. Ambassador Koh was appointed by the United Nations Secretary-General as his Special Envoy to lead a mission to the Russian Federation, Latvia, Lithuania, and Estonia in August/September 1993. He was also a member of three WTO dispute panels, for two of which he served as Chair. Ambassador Koh was the Second Arthur & Frank Payne Visiting Professor at the Institute for International Studies, Stanford University, USA, for 1994/95. He is a visiting Professor at Zhejiang University. He serves on the Board of Directors of the Institute for the Study of Diplomacy at Georgetown University. He is a member of the International Council of The Asia Society (New York) and a co-convener of its Williamsburg Conference. He is also a member of the International Advisory Committees of the Korean Federation of Industries. Ambassador Koh received a First Class Honours degree in Law from the National University of Singapore, has a Masters degree in Law from Harvard Law School, and a post-graduate Diploma in Criminology from Cambridge University. He was conferred a full professorship in 1977. In 1984, he was awarded an Honorary Degree of Doctor of Laws from Yale University. He has also received awards from Columbia University, Stanford University, Georgetown University, the Fletcher School of Law and Diplomacy, and Curtin University. On 22 September 2002, Ambassador Koh was conferred an Honorary Degree of Doctor of Laws from Monash University. For his service to the nation, Ambassador Koh was awarded the Public Service Star in 1971, the Meritorious Service Medal in 1979 and the Distinguished Service Order Award in 1990. Ambassador Koh was appointed Commander in the Order of the Golden Ark by HRH Prince Bernhard of the Netherlands in March 1993. He received the award of the Grand Cross of the Order of Bernardo O’Higgins from the Government of Chile on 3 April 1997. He also received the 1996 Elizabeth Haub Prize from the University of Brussels and the International Council on Environmental Law on 17 April 1997. He was awarded the 1998 Fok Ying Tung Southeast Asia Prize by the Fok Ying Tung Foundation in Hong Kong on 29 May 1998. On 22 February 2000, he was awarded the “Commander, First Class, of the Order of the Lion of Finland” by the President of Finland. On 2 May 2000, he was conferred the title of “Grand Officer in the Order of Merit of the Grand Duchy of Luxembourg” by the Prime Minister of Luxembourg. On 6 August 2001, he was conferred the rank of Officer in the Order of the Legion of Honour by the President of the French Republic. On 5 May 2003, he was awarded the Peace and Commerce Medal by the Department of Commerce, USA.